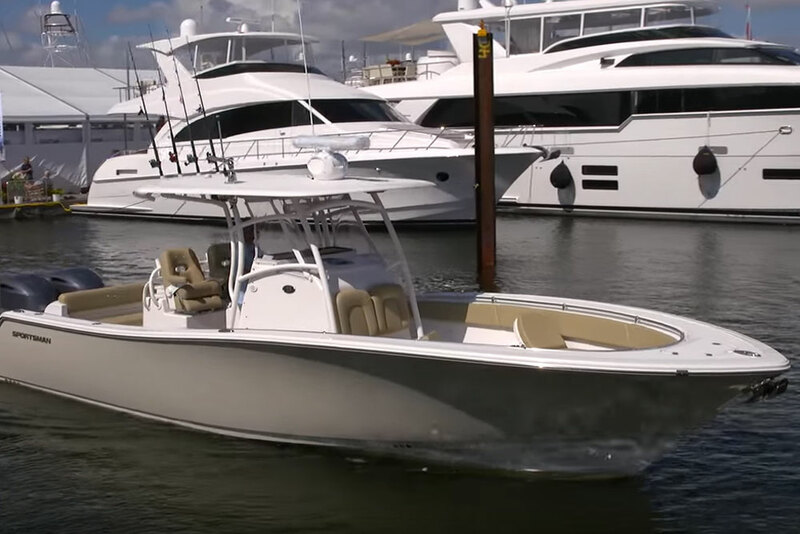 This new offshore capable center console fishing boat gives a big bang for your buck. 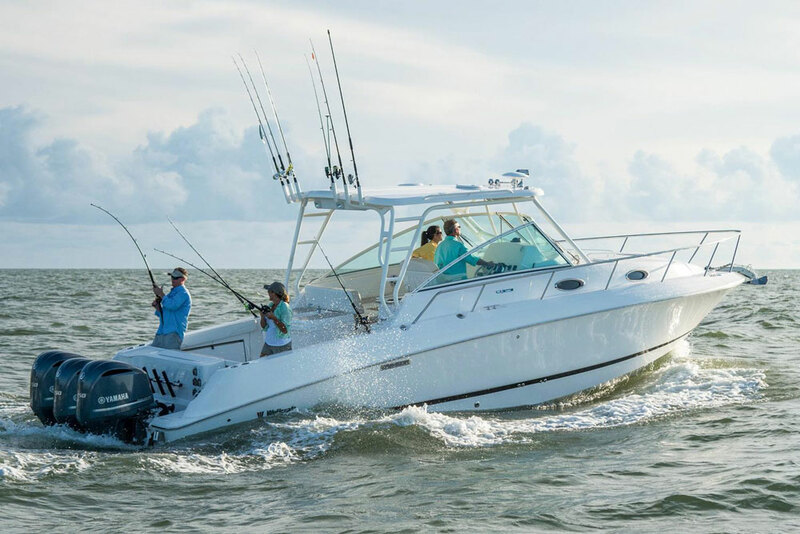 If you’ve done any shopping for offshore center console fishing boats in the last few years, chances are that you’ve been smacked across the face with a good case of sticker shock. 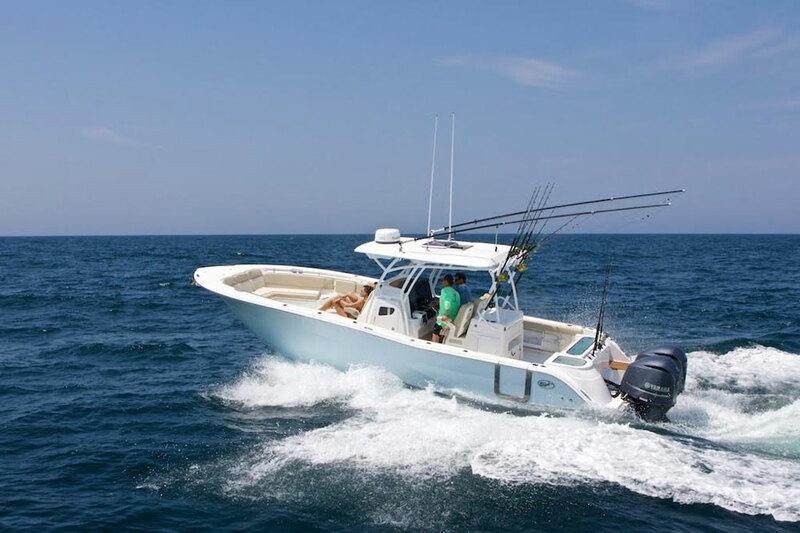 With some offshore center consoles in the 28’ to 30’ class pressing close to the $300,000 mark, it’s easy for prospective fishermen to get discouraged. 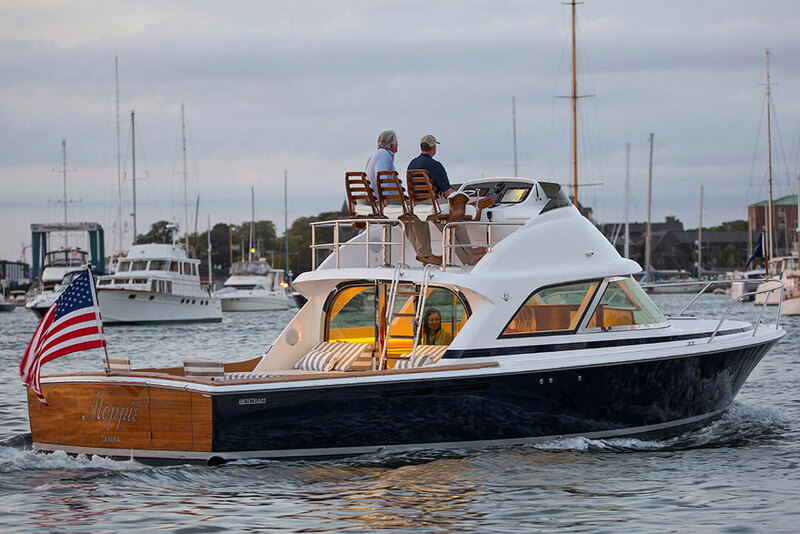 Luckily for those of us not among the one percent, there are some boat builders out there taking a serious stab at addressing the cost issue. One such builder is Sea Fox, of Moncks Corner, SC, just north of Charleston. 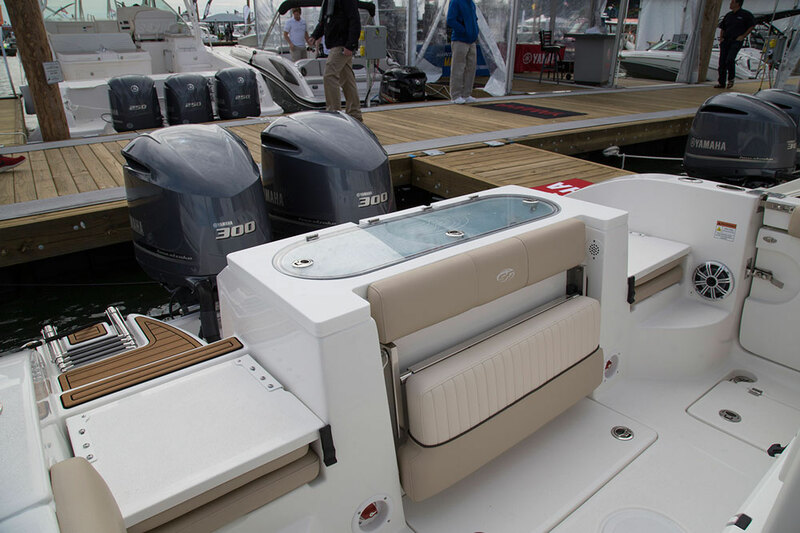 When we stumbled across the company’s new 288 Commander center console at the Miami International Boat Show in February, we quickly shuffled ourselves aboard for a look. Think you need to spend massive amounts of money to get an offshore-capable center console? Sea Fox says no, with the 288 Commander. 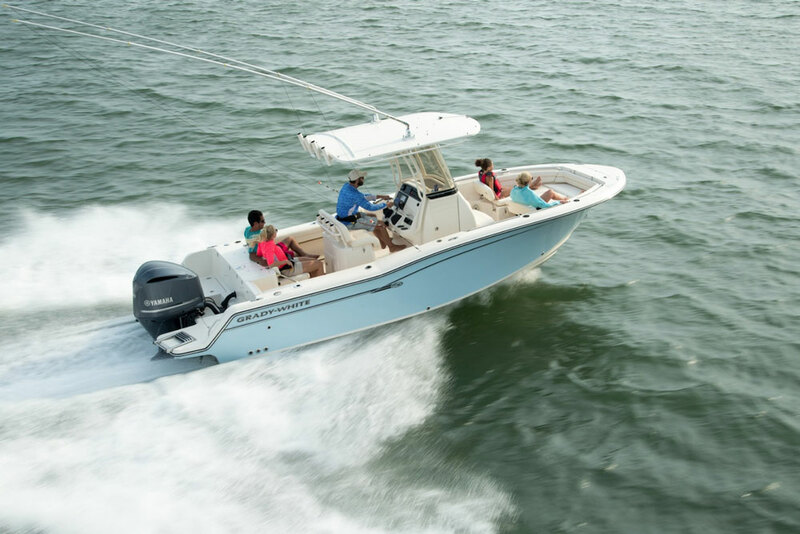 With just about all the options boxes checked and equipped with twin Yamaha F300 four-stroke outboard power, the 288 Commander weighs in at around $148,000. Now, before you shake your head and say to yourself, “Wow that’s still a ton of money,” consider that many of the 288 Commander’s competitors start out in this price range, and that’s with smaller powerplants and no options added. Heck, more than a few start out well past $200,000. This pricing is a big part of what makes the 288 Commander such a solid value. 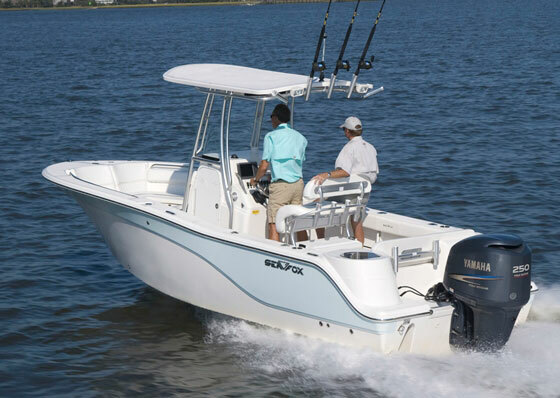 The quality of its construction and the way it performs are two more ingredients in Sea Fox 288 Commander’s secret sauce. Let’s move in for a closer look. As soon as we hopped onboard we noticed the 288 Commander was very similar to many of the upper-end offshore center console boats we’d run earlier that day. Luxurious seating accommodations? Check. Full suite of fish-finding and navigation electronics including dual multifunction displays at the helm? Check. A plethora of fishing features including a 60-gallon pressurized livewell, rigging station, diver’s door, fish boxes, and more? Check. Rugged, lightweight, offshore-ready composite hull and deck? Check. 60 MPH top end? Check. In fact, the only option we didn’t find on our 288 Commander review craft was Yamaha’s Helm Master joystick steering. In case you’re wondering, yes it’s available. The 288 Commander’s deck feels extremely roomy for a boat this size, thanks mainly to its 9’8” beam. That beam also provides plenty of walk-through space past the expansive center console unit—an area that can be tight and uncomfortable to navigate on plenty of center consoles. Seating on the 288 Commander is luxurious throughout, with judicious use of buttery-feeling vinyl and top-quality foam. The bow area sports a U-shaped lounge setup that can be used for entertaining, or as a casting deck when the cushions are stowed away and a drop-in insert is added. Twin pop-out backrests that stow flush under the gunwale can turn the starboard and port sides of the bow seating into forward-facing lounges. 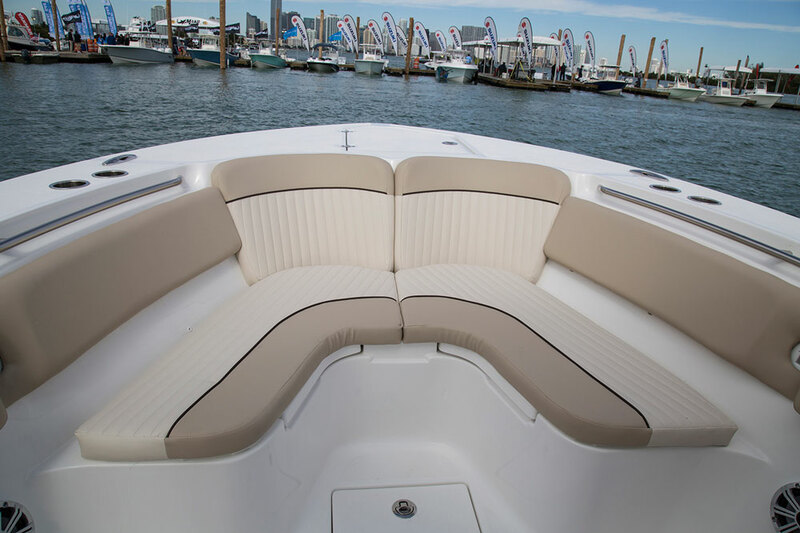 There’s more comfy seating just ahead of the center console with room for two, at the helm are two sturdy but comfy bucket chairs, and farther aft we found pop-up bench and jump seats at the transom. Though it has more to do with comfort than, ahem, seating, there’s a marine head neatly situated below the center console. 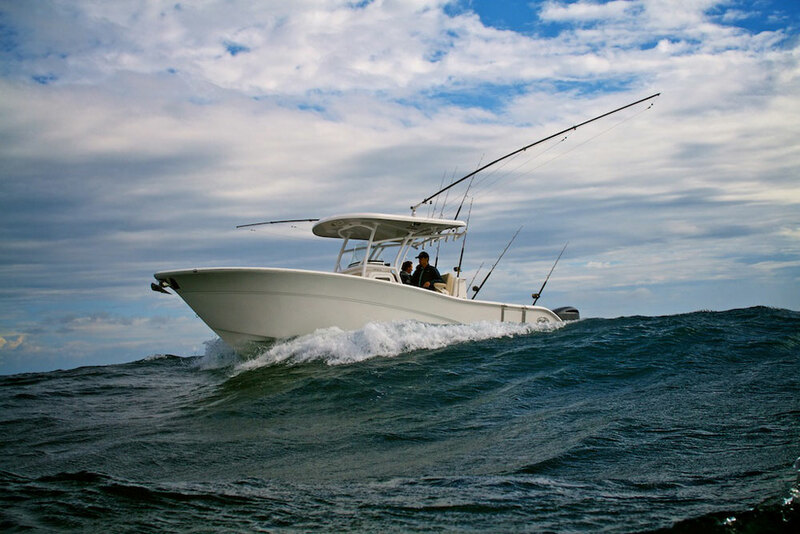 Of course this boat’s modus operandi is going offshore after the big ones, so we’d be remiss in not mentioning all the great fishing features we found aboard. The aft cockpit is where most of the fishing action tends to happen, so it’s no surprise that it’s here where we found a mother lode of angling accouterments. A gargantuan 60-gallon pressurized livewell caps the transom with plenty of room for keeping tons of live bait wiggling for hours. Close by is a diver’s door set into the port hullside—great for bringing big fish like kingfish, wahoo, mahi, and billfish aboard. Beneath the aft cockpit deck are plenty of fish box compartments. Make no mistake about it, the 288 Commander is set up for serious bluewater fishing. A large rigging station with plenty of stowage space for tackle sits behind the twin center console seating units, at the forward end of the cockpit. A 65-quart Yeti cooler cleverly slides out from beneath the rigging station—manually or electrically—making access to frozen or refrigerated baits easy. The rigging station is well executed and has tons of room for tackle and fishing tidbits, but we wished that Sea Fox had mounted a cutting board on the backside of the drop-down access panel. Rod stowage aboard is ample; we casually sighted more than 20 rod holders around the deck and up on the hardtop pipework. Add in an excellent suite of fish-finding electronics from Garmin and you’re off to the races. Canyon hopping should be easy, especially with the twin Yamaha F300 outboards our test craft was equipped with. Zero to 30 mph happens in just over four seconds and if you keep the throttles pinned you’ll quickly see a top-end of around 61 MPH. 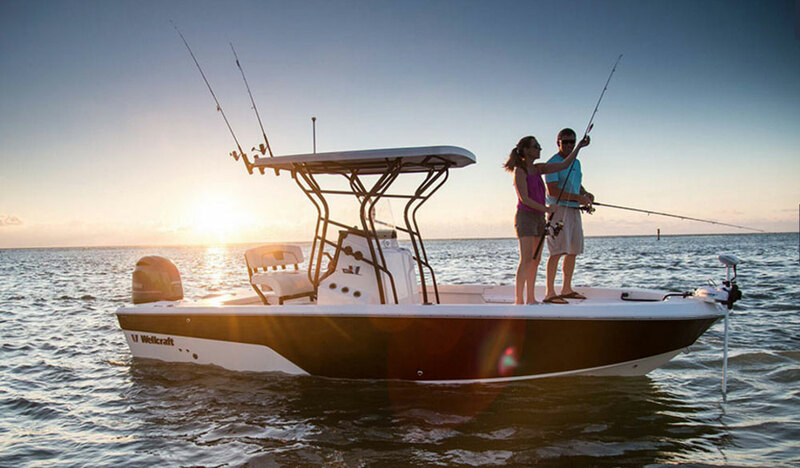 If it were our boat, we’d cruise the 288 Commander at around 30 MPH for the best fuel efficiency—about 2.3 MPG. Some quick math produces a theoretical cruising range of approximately 450 miles with the 288 Commander’s 200-gallon fuel tank. Biscayne Bay tossed a few three-footers our way during our performance testing, and the 288 Commander handled the conditions easily while providing a smooth, dry ride for our test crew. Cornering performance was also exceptional, as was low-speed maneuverability when the time came to lasso the 288 back into its slip. 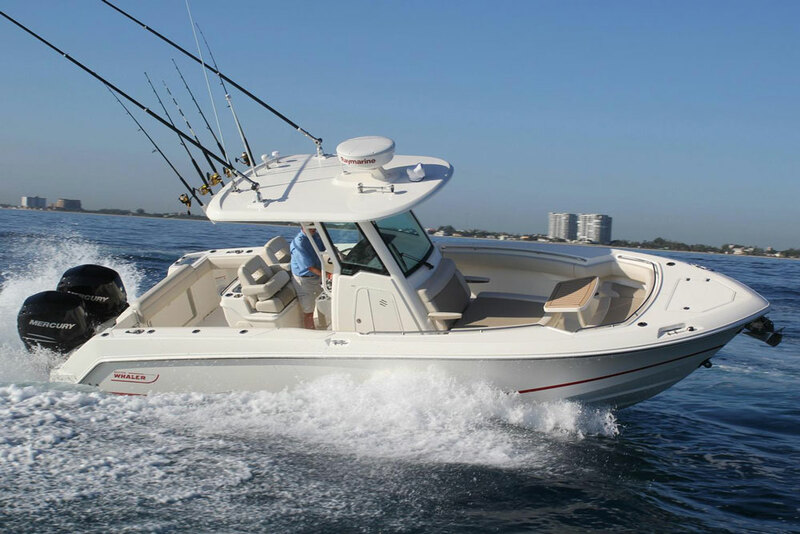 Other Choices: Another fishing boat in this size range which keeps price in check is the Stamas Tarpon 289. Another cost-conscious option would be the Mako 284 CC. For more information, visit Sea Fox. See current Sea Fox 288 Commander listings. Test conditions: Ten to 15 knot winds, four POB. Performance figures courtesy of Yamaha. Power Twin 300 HP Yamaha F300 outboard engines, swinging 15” x 20” three-bladed stainless-steel props.